The state of mind which favours the powdery pink tone, in full trend. A soft and vibrant pink that enhances the light capacity in each space in which it is included. Sweet, dynamic and exquisite indoor areas with a naive touch. Colour ranges from the Mediterranean. Mix &match. How do we combine powdery pink in interior design? 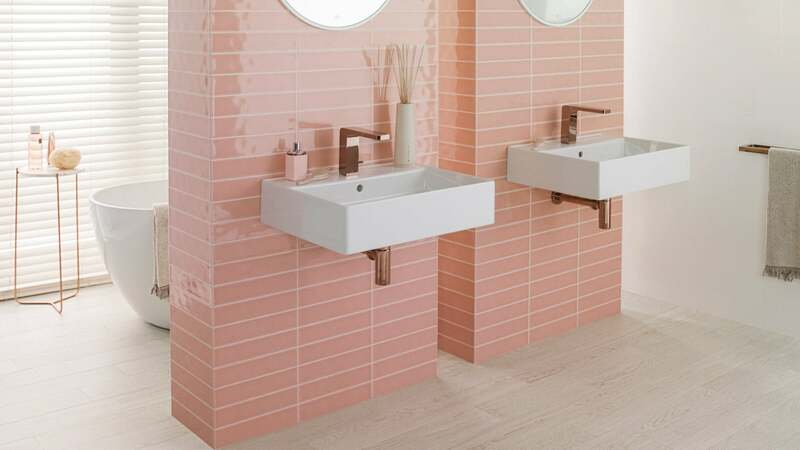 Powdery pink is a versatile colour which offers endless possibilities, since it can be combined with other colours without altering its origin and it creates comforting, warm and sophisticated atmospheres. The rose quartz can be combined with tones such as white or other pastel colours. In addition, if it is splashed with black touches, several focal points can be established in the same decoration. In its combination with stone or wood, the receiver gets visual tranquility and emotional wellness. 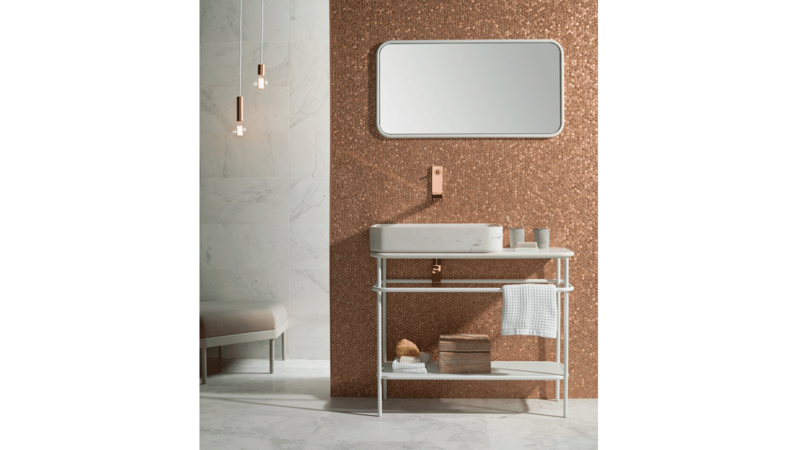 The quartz pink becomes more refined if it fuses with the metallic finishes in copper, bronze or rosé. The metal gloss adds to the pastel warmth of the pink colour to enhance the sensations of both finishes in their contrast. 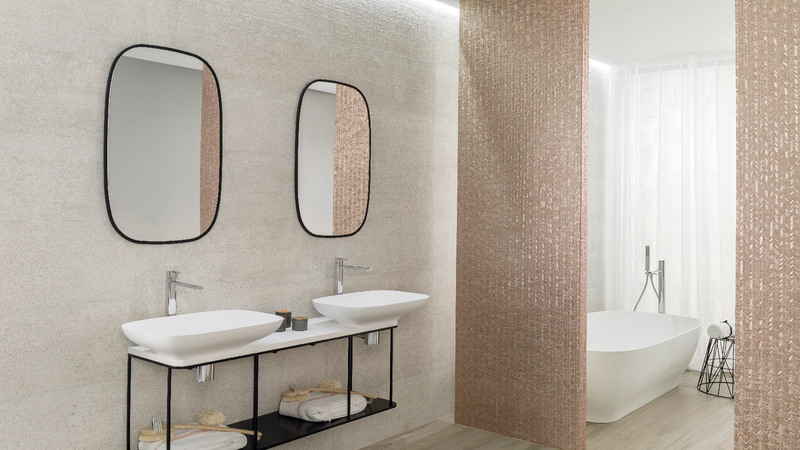 The PORCELANOSA Grupo, attentive and a participant of leading edge design, incorporates powdery pink (Pantone Rosa Quartz or Rose Quartz) in a large part of its products. An addition that recreates that recollection of one's own home. Joy, serenity and personality. 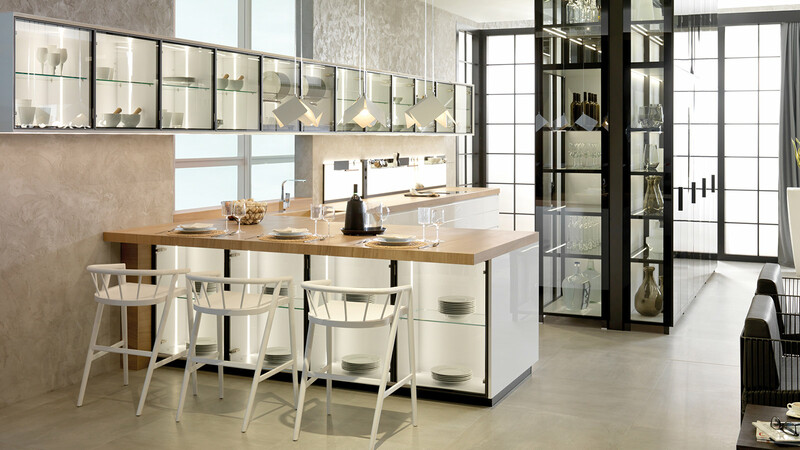 These are the attributes granted by the new White & Colors collection in wall tiles, kitchens and bathrooms. Designed in small format, among its versatile tones, we highlight powdery pink in a glossy finish. An option that is presented in the Sevilla and Malaga models. The first one is a rectangular piece that simulates a composition of 6 symmetrical squares. The Malaga version is a rectangular piece divided into 3 elongated rectangles and cut by two lines. A trip to the south of Andalusia. 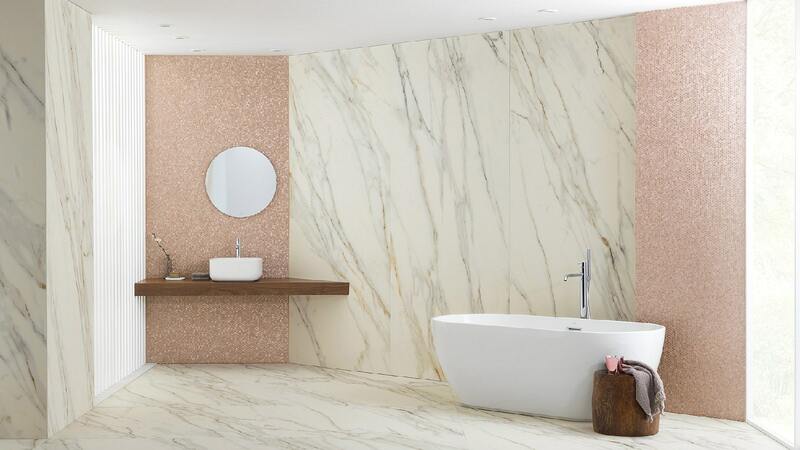 Venis, a PORCELANOSA Grupo firm, has also joined the Rose trend through its Cerámica Prada Beige collection. A wall tile with a rectangular format (33.3cmx66.6cm), marble look and glossy rectified finish. 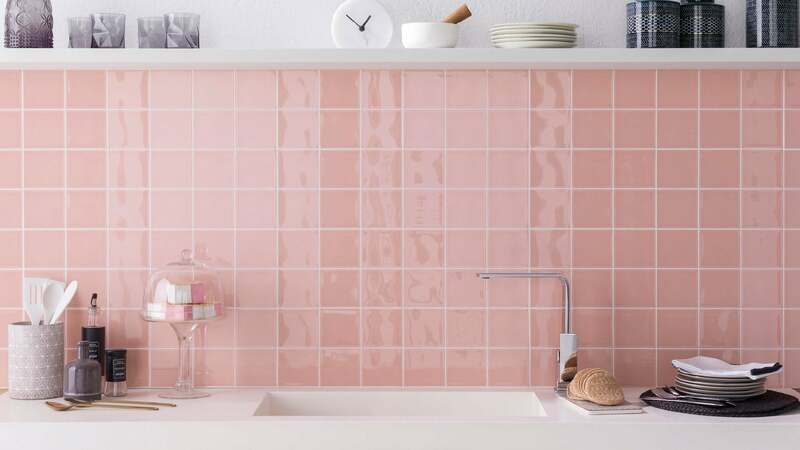 This version of powdery pink can be combined with neutral tones like white, whose visual effect enhances the spaces in which it is incorporated. The soft pink acquires a new effect with the magnetic force of gold. 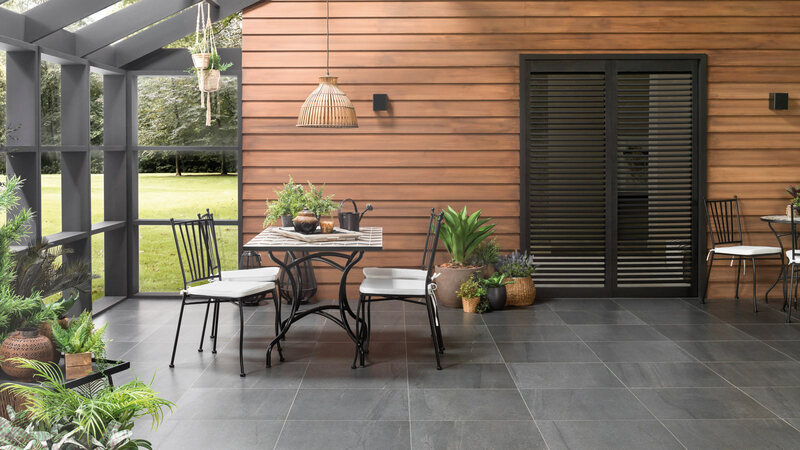 A clear example lies in the collection of the Gravity metal mosaics by L'Antic Colonial. 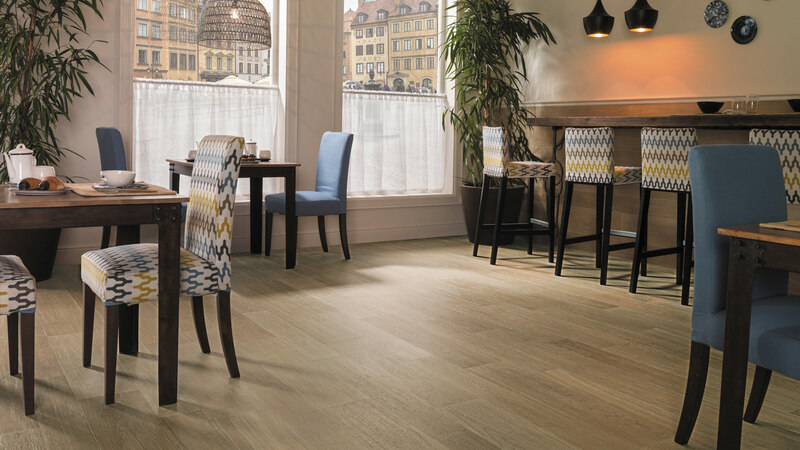 Its gloss finish and brushed effect modernise the classic canons in both hexagonal and square formats. The first of them, Gravity Aluminum 3D Hexagon Rose Gold, has a marked irregular texture which stands out in one of the tiles. In contrast, Gravity Aluminum Hexagon Rose Gold follows the same style, but without offering much relief. Gravity Aluminum Cubic Rose Gold consists of small squares that also have a slight irregular surface. 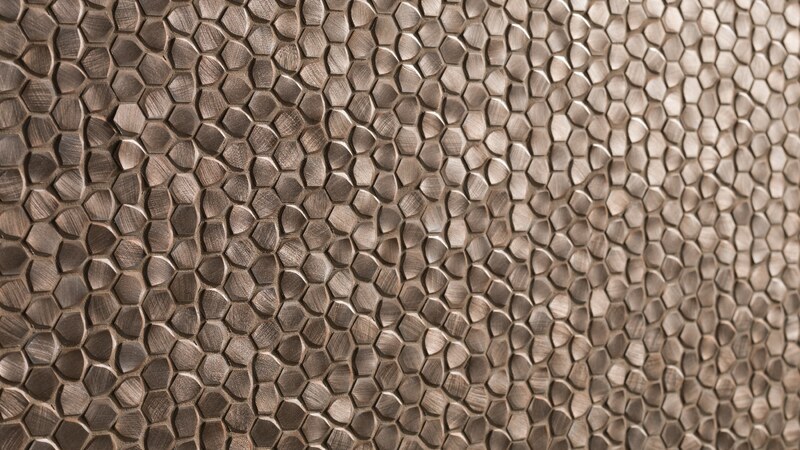 Meanwhile, Gravity Aluminum Arrow Rose Gold showcases in each mesh tile the simulation of an arrowhead or zigzag style. This design has been supported by the Gravity Aluminum Trace Rose Gold reference, although in this case with striking pieces of larger dimensions. In the bathroom equipment, this atmosphere can be created with the Lounge taps by Noken Porcelanosa Bathrooms, by Simone Micheli, whose Cooper finish offers refinement and clarity to all shapes. A Premium aesthetic added to the finish quality, in PVD, anti-scratch and anti-corrosion. Lounge is an ECO tap whose flow limiter allows for saving water.